Oh, before I leave the Agfa Isolettes, let me mention one other that an extremely few of you will ever likely see, the astoundingly “ahead of its time,” Agfa Automatic 66. This is a milestone camera in that, as far as I have been able to discern, it was the world’s first Aperture Priority automatic camera…in a FOLDER yet!!!! It is a re-engineered Super Isolette but with a light meter which connects to the shutter assembly through pneumatic hoses (yeah, that’s right). As I understand it, (I’ve never dared take one apart… that I leave to Ken Ruth of Bald Mountain Photography) as the meter reacts to light it changes tiny valves increasing or decreasing the amount of air in them and that’s how it “somehow” controls setting the shutter speeds. Weird in our electronic age, but it works. 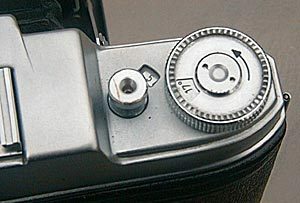 You set the aperture and the light meter determines the shutter speed. You release the shutter and air pressure determines what the correct shutter speed for the aperture chosen should be… WOW! In 1956, just too cool for words, come to think of it, it’s still too cool for words! 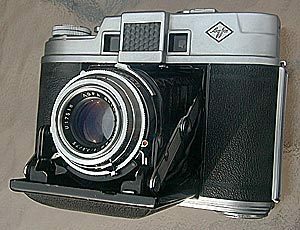 In fact, in the 1950s, new developments like camera automation were more likely to come from Agfa that from the big camera producers like Zeiss. 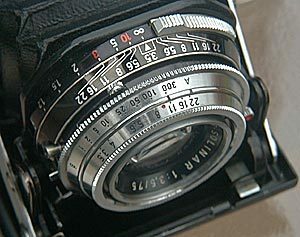 The Automatic 66 demonstrates really the prowess and daring of Agfa engineering in the 1950’s and 60’s. Today most people consider this camera far too valuable to shoot, however I find that a camera that does not take pictures has little use… so mine goes out with me every now and then to keep its “valves” clear!! 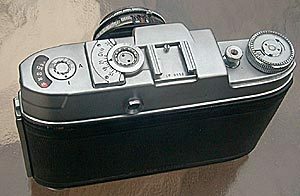 Should you ever find an Agfa Automatic 66, hold on to this treasure… for your future generations.